Home LIFE & STYLE	Who is Scarlett? The existence of eSports is not a new thing—not to the world, and certainly not to this newspaper. However, until only recently they were a completely foreign concept to the Olympics. This year, just one week before the start of the Winter Olympics in Pyeongchang, the first eSports tournament endorsed by the International Olympic Committee was held—and Canada took gold. 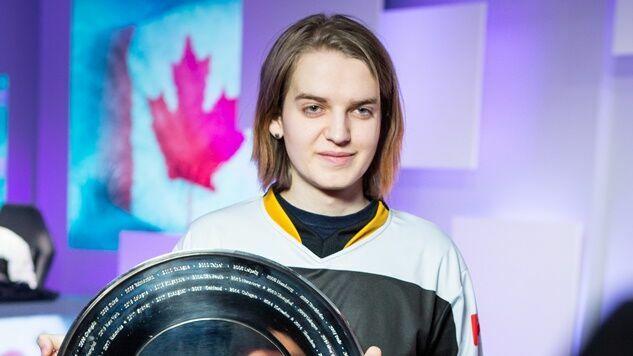 Sasha “Scarlett” Hostyn is a professional videogame player from Kingston, Ontario. A member of Team Expert, she was chosen to represent Canada in the groundbreaking Intel Extreme Masters (IEM) Pyeongchang 2018, an international StarCraft II tournament. From her debut in 2012, Hostyn holds the Guinness World Record as the highest-earning woman in the competitive videogame scene, and since winning IEM Pyeongchang she is also the first woman to win a Premiere Tournament—a major eSports tournament with an outstanding prize pool, that are generally played in an offline LAN network, and feature international teams—in StarCraft II. In general, StarCraft and StarCraft II have been mostly Korean-dominated games. Hostyn is only the third player ever to beat out the home teams on Korean soil. Her win also marks her as the second-ever Canadian to ever hold a Premiere Tournament title. The first being Charles “Hyuk” Loranger in 2011 at DreamHack Summer in Sweden.